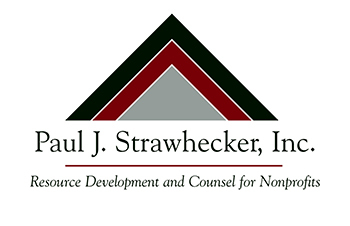 On Thursday, November 3, Paul J. Strawhecker, Inc. is co-sponsoring the South Dakota Association of Fundraising Professionals Autumn Mixer. The event will be held at Bracco Restaurant, 5001 S. Western Ave. in Sioux Falls from 5 to 7 p.m. Admission is complimentary for South Dakota AFP members and spouses; $15 for non-members. Plan to attend and meet the “Mystery Guest.” He gave his first charitable gift of $25.00 to the McCrossan Boys Ranch 40 years ago. Paul Strawhecker, Jodie Nolan and Scott Larson of PJS will be joining in the fun. To attend, please R.S.V.P. to Angie Kuiper at SouthDakotaAFP@live.com by November 1. Click the title link at the top to download the flyer.